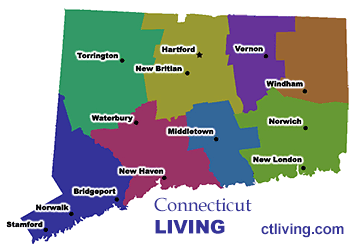 CT Living offers this guide to the very best dining values in Hartford, Suffield, New Britain and all of North Central Connecticut, including chef-owned restaurants, country inns with amazing culinary creations, and some incredibly good dining values. Enjoy some of the world’s truly great restaurants in Connecticut’s Capitol. The Greater Hartford area; which includes New Britain, Suffield, Windsor, and Enfield offers many outstanding dining options. Ask us about Hartford county CT restaurants or share your CT dining reviews. To feature your Connecticut cafe or restaurant, contact us.